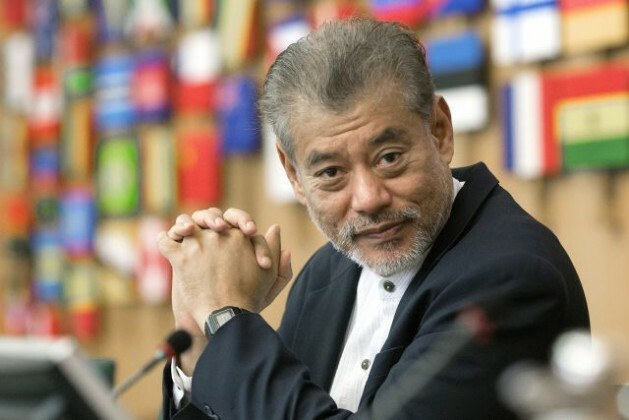 Jomo Kwame Sundaram, is the Coordinator for Economic and Social Development at the Food and Agriculture Organization and received the 2007 Wassily Leontief Prize for Advancing the Frontiers of Economic Thought. ROME, Sep 14 2015 (IPS) - Many well-meaning people who would like better governance have been misled into insisting on so-called ‘good governance’ reforms, with the expectation that this would lead to development. There is no clear or systematic evidence that good governance – as an approach — is necessary for development. However, the evidence favours the converse: governance improves with development. No one is advocating bad governance, or corruption, or however one wants to define whatever good governance is meant to address. Nor is anyone saying that governance does not matter. Clearly, no one is opposed to good governance in the sense of governance that is good. On the contrary, everyone wants to improve governance in many aspects of human affairs. When the policy prescriptions of the conventional wisdom of the last three decades did not result in sustained development, good governance reforms became the great hope. After all, the statistical correlation between good governance indicators and economic performance has long fuelled hope that good governance would bring development. Thus, good governance became a convenient way to explain away the failure of the development economics orthodoxy of the last two decades of the 20th century — when Latin America lost more than a decade, and Sub-Saharan Africa a quarter century due to enforcement of the so-called ‘Washington Consensus’! Market liberalization was supposed to be the necessary complement of freedom and democracy — following the late Friedrich Hayek and Milton Friedman, both Nobel laureates in economics with considerable name recognition. Thus, good governance was touted as the great miracle cure for development failure and corruption, usually simplistically attributed to big government. After all, who favours corruption, red-tape or ineptitude? These were easy targets, and when conventional analysis could not explain development failures and corruption, bureaucracy, bad governance and governance failure could conveniently be blamed. But unfortunately, all good things in life do not necessarily go together. And while most people want democracy, or want to see an end to corruption, development does not necessarily follow. And that is the problem. Unfortunately, unrealistic expectations have been created by presuming that good governance reforms are necessary for development. When good governance reforms are imposed as aid conditionalities, recipient developing country governments often end up mimicking donor expectations. And when you have well over a hundred good governance indicators, reforms become so wide-ranging, impossible to achieve, beyond the means of most developing countries and, worst of all, a major distraction from needed development efforts. To make things worse, many ostensible good governance solutions favour particular vested interests, with grossly unfair consequences. Also, many good governance reforms have had unexpected, if not perverse outcomes, sometimes worsening governance problems, e.g. when decentralization and devolution have led to powerful local political patrons — which some call ‘cacique’ democracy. So, let us improve governance by all means. But let us not overload the governance reform agenda unnecessarily. As Harvard Professor Merilee Grindle has put it, we need ‘good enough’ governance — meaning we must prioritize, and strategically. There is no systematic evidence that the much touted good governance reforms are necessary for development. We cannot presume that the advocates of good governance have been always right about how best to improve governance. Take the claims about the ostensible necessity to strengthen property rights. In reality, the tragedy of the commons is not inevitable, and strengthened property rights are not the only solution. The late, much maligned Nobel laureate Elinor Ostrom showed that human societies have long coped with ecological, resource and other constraints with a variety of arrangements other than by strengthening property rights. As governance improves with development, let us prioritize development-enhancing governance reforms, or developmental governance. A pragmatic approach to improving governance cannot be dogmatic, pre-conceived, and one-size-fits-all, where one has the solution even before one knows the problem. Identify the major constraints, analyse, and then address them, perhaps sequentially. Draw from relevant experiences, lessons learned. Do not presume there are best practices regardless of context. We need to be humble, not presumptuous, and that is never easy for those of us deemed experts.